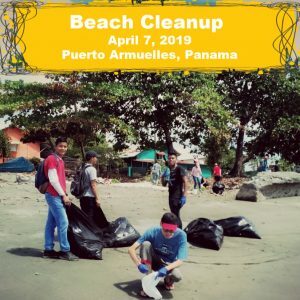 What is Panama's 10 K rule? 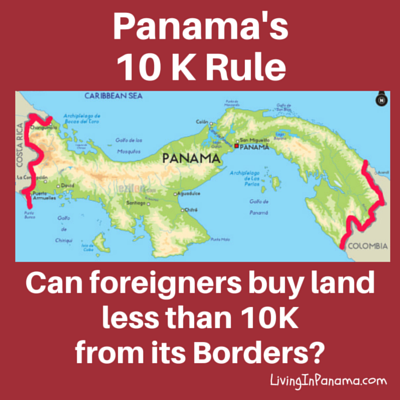 Technically no, but foreigners often do own Panama land within 10K of the border. The red lines on the map above represent approximately 10 kilometers. 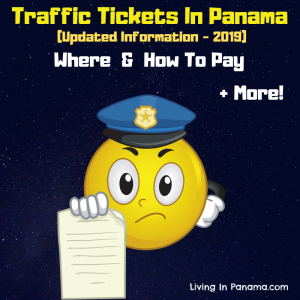 What is Panama’s 10 kilometer rule? Panama’s constitution prohibits foreign ownership of land located less than 10 kilometers from its borders. 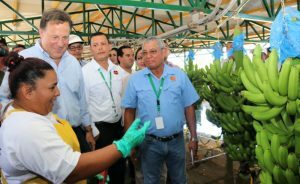 This impacts Panama property within 10K of both Costa Rica and Columbia. The same restriction used to apply to all island property, but in 2006 that restriction was eliminated. So unless the island is less than 10K from Costa Rica or Columbia, a foreigner can buy land on an island, or the whole island, in Panama. It seems like a very clear cut rule, but it isn’t. 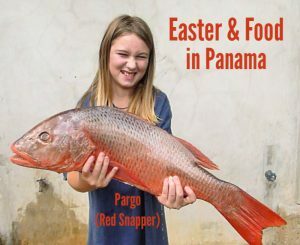 The rule says that a foreigner cannot own property within 10 kilometers of a border Panama shares with another country. The 10 kilometers is measured from a proposed property to the closest point on the border from that property. 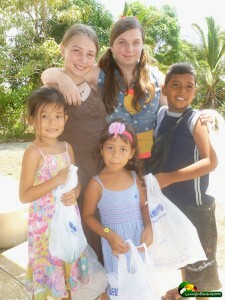 However, many foreigners have purchased land within 10 kilometers of Panama’s borders, especially the Costa Rica border. 1) The prohibition does not apply to ROP property. Technically, the buyer of rights of possession (ROP) property is not the true property owner. The true owner is the Panama government because the government holds the title. (This also means that ROP land is also exempt from property taxes. 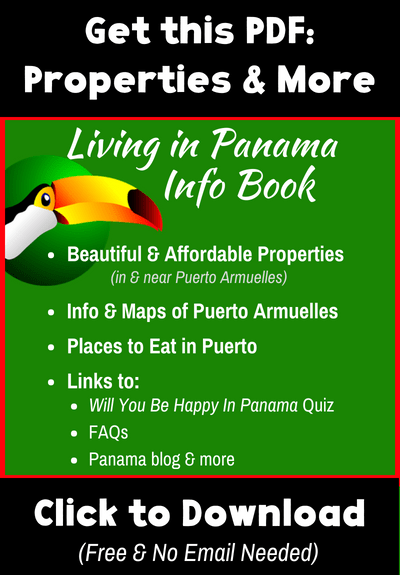 Find out more about Panama property taxes and exemptions here. ) Therefore, it is perfectly legal for foreigners to buy ROP property in Panama less than 10 kilometers from Costa Rica or Columbia. 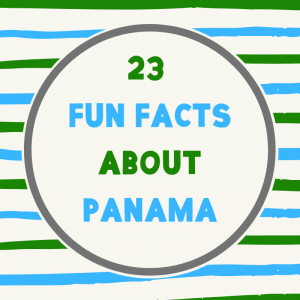 2) Many foreigners buy property via an anonymous Panamanian corporation. Such corporations designed to keep the owners of the property hidden. 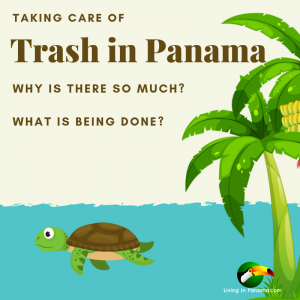 A Panamanian, often a lawyer, is the face of the corporation. The true owner(s) are kept anonymous. Technically, even corporations cannot buy property inside the 10 kilometer line if a foreigner is part of the corporation, or if foreign money is used to buy the property. But given the nature of anonymous corporations in Panama, it is very hard to verify whether a foreigner is part of it or not. At one time, it seemed that the existence of anonymous corporations in Panama were numbered. But each time the proposal was raised, it was also ultimately squashed. There are too many people in power who benefit from the opaque nature of these corporations. These days, it seems unlikely that anonymous corporations will be banned in the foreseeable future. 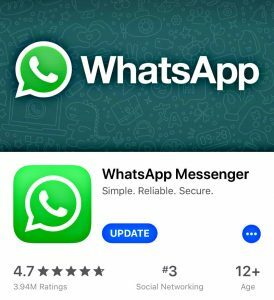 (Read how Panama proposed banning corporate anonymity and then a subsequent post on Panama suspends the proposal to ban anonymous corporations. 3) There is very little, if any, enforcement of the 10K rule. For instance, we own titled land, in our own names, in Panama within 10 kilometers of Costa Rica. Our property is recorded in the public registry of property. No one batted an eye. We know many people who have done the same. It is technically risky. However, it seems extremely unlikely that the government would claim the property from us. However, everyone’s risk tolerance is different. 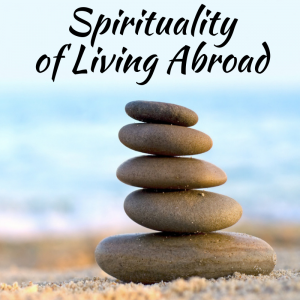 To be as safe as possible, you should buy at least 10 kilometers away from the border. The 10 kilometer property rule is the only restriction on foreign ownership of property in Panama. Panamanian law is very friendly to foreign investment in real estate. If you want to buy land outside the 10K line in Puerto Armuelles, you need to buy land north of the San Bartolo bridge. This bridge is on the main road into Puerto Armuelles and goes over the San Barolo river. This means Puerto Armuelles is situated such that it has some of it lands are more than 10K from the border with Costa Rica, and some are less than 10 kilometers from the border. There is a surveyor’s map below which gives distance from the border of various points in Puerto Armuelles. A good rule of thumb, as I say above, is whether a point is north of the San Bartolo bridge or not. If a property is north of the San Bartolo bridge than you are almost always more than 10 kilometers from the border of Costa Rica, per the 10k rule. For instance, these Puerto Armuelles neighborhoods are more than 10 kilometers from the border with Costa Rica. There are more neighborhood outside the 10k line, but the ones below are the primary ones. Here is the map of the Puerto Armuelles area with distances from border as done by a certified surveyor. Click the map to see it larger. You can search our properties, by neighborhood, using the property search in the header. Does Panama’s 10 K rule mean I cannot buy property in Panama? So I am trying to understand. 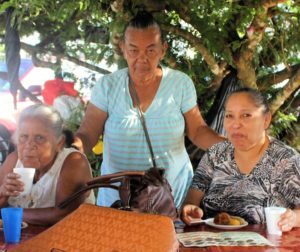 If I want to buy property in say Boco Del Toro it would have to be for investment only not for me to live there? Maybe I am misinterpreting what you are saying? 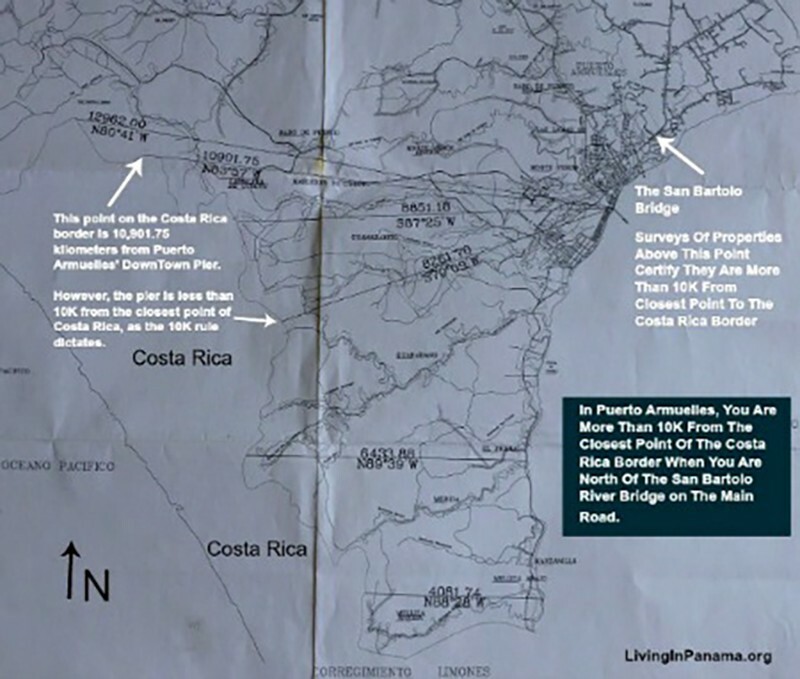 I have seen only one “unofficial” map of the property implicated by this rule, and it appeared to be a specific, and fairly narrow rectangular area , extending from one section of the CR boarder, into Puerto Armuelles. Given your description above, I would expect to see a 10K wide band, running along the full extend of the border. Can you clarify? Is there any kind of “official” map that reliably shows the involved area? If so, would appreciate a link.